You are currently browsing the The Hart Orthodontics Blog blog archives for October, 2013. With all of the excitement and free candy on Halloween, it is easy to get carried away on a sugar high. Parents warn their children not to eat too many pieces in one night to avoid tummy aches and cavities. Our team at Hart Orthodontics especially want to remind children with braces to be extra cautious about the treats they eat because some varieties can get stuck in between the brackets and damage the devices. Sticky candy, such as caramels, fruit chews, and gum should be avoided when wearing braces. Children can trade with their friends and siblings to get only safe candies. The following list offers some alternative treats that children with braces can safely enjoy. Of course, treatment time will vary depending on your specific situation. Very minor tooth movement may only take a few months to correct, while serious malocclusion (poor bite) may need more than two years to correct. Only Dr. Patrick Hart will be able to accurately estimate the time your treatment will take. But trust us—it’ll all be worth it in the end! Has your child or teen visited Hart Orthodontics for an orthodontic consultation? If not, please give us a call and let us help him or her begin the journey to a gorgeous smile! Please feel free to contact our Woodbridge, VA orthodontic office, and let us know how we can help you. We look forward to working with you and your family, and giving you the right orthodontic care that makes you smile. At Hart Orthodontics, we know having an attractive smile puts a spring in your step, as well as increases your self-confidence, no matter if you’re a teen or an adult. Smiling not only puts people in a good mood, but doing it often can even help you live longer! If you’ve been hiding your smile because you have crooked teeth or gaps between your teeth, it’s time to consider orthodontic treatment with Dr. Patrick Hart. You’ll be pleasantly surprised to learn how quickly and efficiently today’s advanced techniques can straighten your smile! And if you are apprehensive about traditional braces, clear aligners can be a great treatment option. Don’t hide your smile any longer. Give us a call today to schedule your or your child’s orthodontic consultation at our convenient Woodbridge, VA office. See you soon! Is Invisalign Teen® right for me? 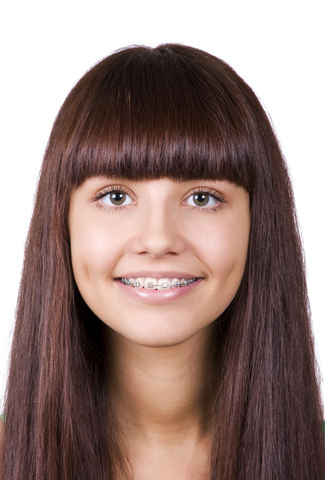 At Hart Orthodontics, we know that for most teens, the thought of having metal brackets and wires attached to their teeth for a period of time may be more than enough to delay orthodontic treatment. But thanks to innovations in technology and the recent wave of celebrities undergoing treatment, the days of “metal mouth” are all but gone. 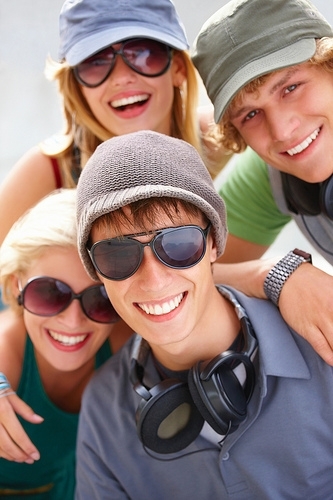 Teens today have more options than ever before, including high-tech, removable option called Invisalign Teen. Invisalign Teen is a method of straightening your teenager’s teeth using a series of clear, almost invisible, removable aligners. Invisalign combines the treatment plan recommended by Dr. Patrick Hart with proprietary 3-D, computer-generated software to move your teenager’s teeth in very precise increments. Invisalign Teen is designed with “compliance indicators” that fade from dark to light during a period of time and let your child know when to change trays. And because we know kids tend to be forgetful sometimes, each aligner comes with replacement aligners in case the original aligner ends up lost or broken. If you would like to schedule an initial consultation to talk with Dr. Patrick Hart to find out if Invisalign Teen is right for your child, we invite you to give us a call at our convenient Woodbridge, VA office.